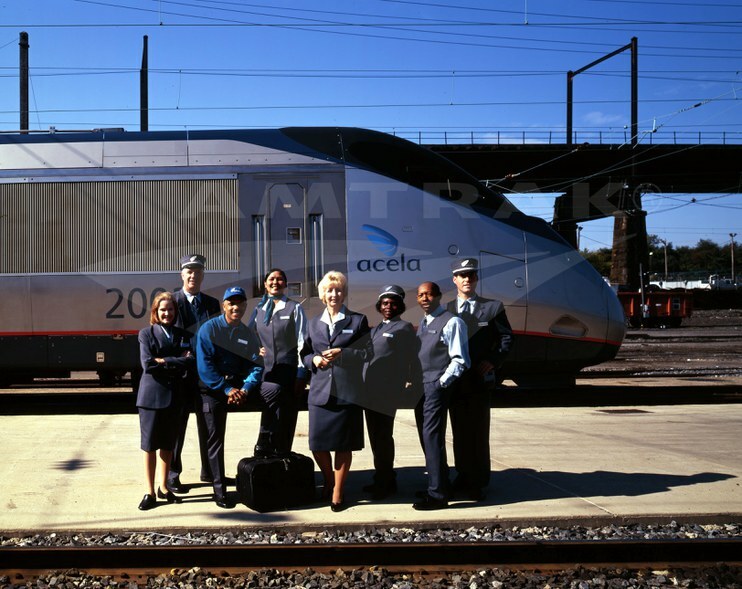 Coinciding with the launch of Acela service, Amtrak hired designer Stan Herman to create a new uniform based on a color palette of blue, silver and gray. Regularly scheduled Acela Express service began on the Northeast Corridor (NEC) between Washington, New York and Boston on December 11, 2000. Through February, Amtrak is marking the anniversary with special “Acelabrations” for customers and employees. Surprises on the trains, in stations and elsewhere are planned as Amtrak pauses to celebrate this milestone. In a series of blog posts (read Part 1 and Part 2), we’ll take a look back at the journey to Acela Express and explore its future. unveiling of Acela and the refreshed Amtrak brand. All Northeast Corridor services, as well as Empire Service and Keystone Service trains, were rebranded under the Acela name. Black did not attend the New York event since he had been dispatched to a Bombardier plant in Barre, Vt., where the Acela Express trainsets were being assembled, to shoot a video for the unveiling. “It showed factory doors dramatically opening to reveal the sleek, streamlined nose of an Acela power car, wrapped in a large red ribbon. I stood next to the train, shivering inwardly in the cold, sunny winter day in business suit and overcoat, and said simply, ‘Ladies and gentlemen, I introduce the Acela!’ (or words to that effect),” recalls Black. public and build buzz around the brand. The high-speed, limited-stop service would become Acela Express and replace the Metroliner brand. 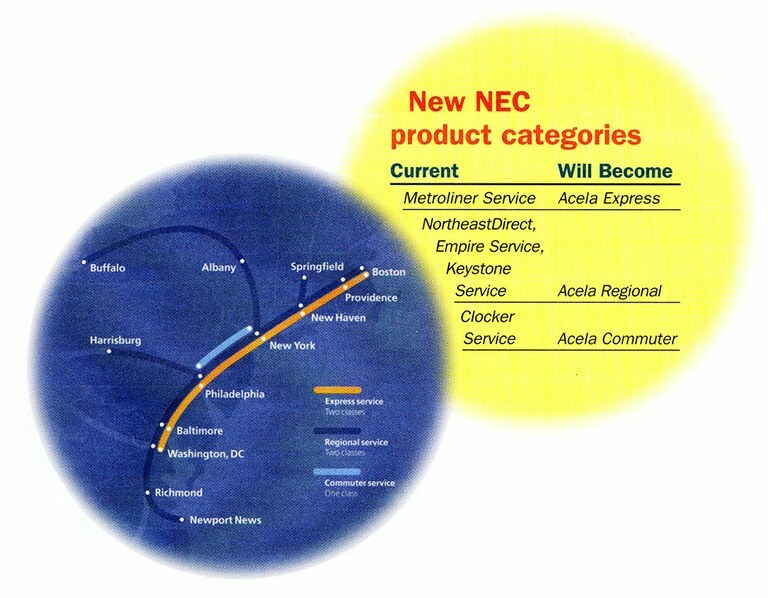 NortheastDirect (known today as Northeast Regional), Keystone Service and Empire Service trains would be rebranded as Acela Regional. Finally, the frequent Clocker Service (later taken over by New Jersey Transit) between Philadelphia and New York would be known as Acela Commuter. In designing the new Acela services, Amtrak surveyed more than 24,000 customers to gauge their opinions on ideal frequencies, equipment upgrades and other features.3 Passenger confusion about the various Acela services would later lead Amtrak to largely abandon the new naming system; only Acela Express was retained for the company’s premier high-speed service. 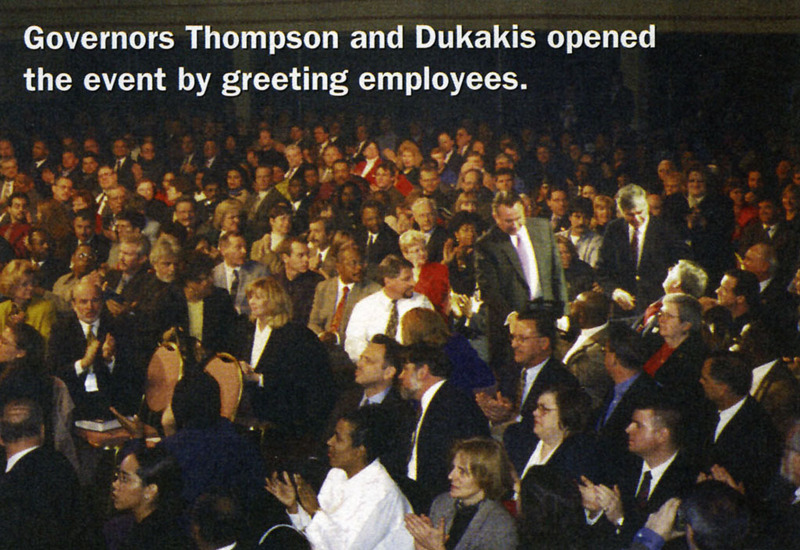 1 “Amtrak – The Company that Guarantees Guest Satisfaction,” Amtrak Ink, July/August 2000. 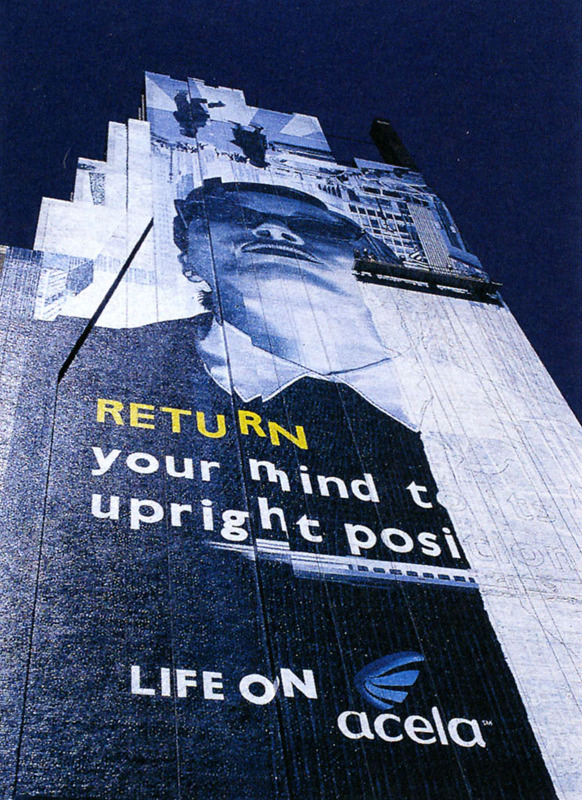 2 “It’s official,” Amtrak Ink, March 1999.